Stainless Steel 6oz Hip Flask. Firefly Mini Masters Dedication Plaque. Q Craft Alliance Cruiser. 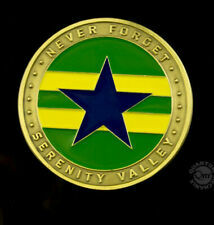 Limited Edition Challenge Coin. 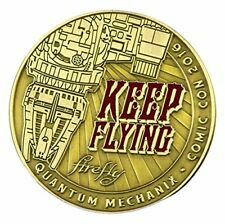 The Hero of Canton Jayne Cobb Coin. Because you never know when the Alliance might be running an undercover sting operation, it's a good idea to carry one of these handy forms of Browncoat ID. Safety Warning: This Product is for Adult Collectors. 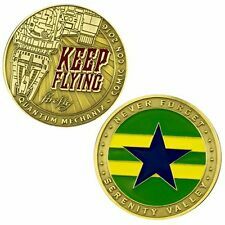 New In Box Limited Edition Firefly Challenge Coin 2016 Comic Con Exclusive. 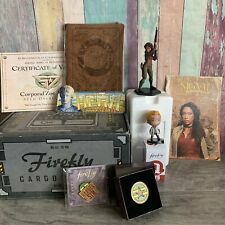 (Loot Crate May 2016 - FIREFLY 2nd Crate. 1) Jayne Cobb COIN. make Supersized seem small. Gets yours now!